Simulates ABS plastics, with high temperature resistance and toughness. ABS-like is our closest representation of Injection Molded ABS in a printed material. It has the same high resolution appearance as VeroWhite, but the material is much stronger and more durable. As with all PolyJet materials, there is less risk of warping or shrinkage on large parts because instead of heating and melting a plastic, this technology uses a UV light to cure a photopolymer resin. 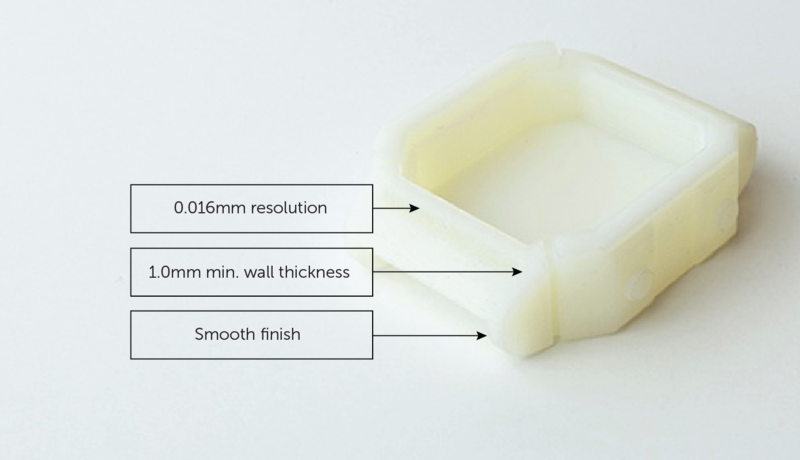 ABS-like is one of our highest resolution 3D printed materials (same as Vero), but is stronger and has a higher temperature resistance compared with Vero. 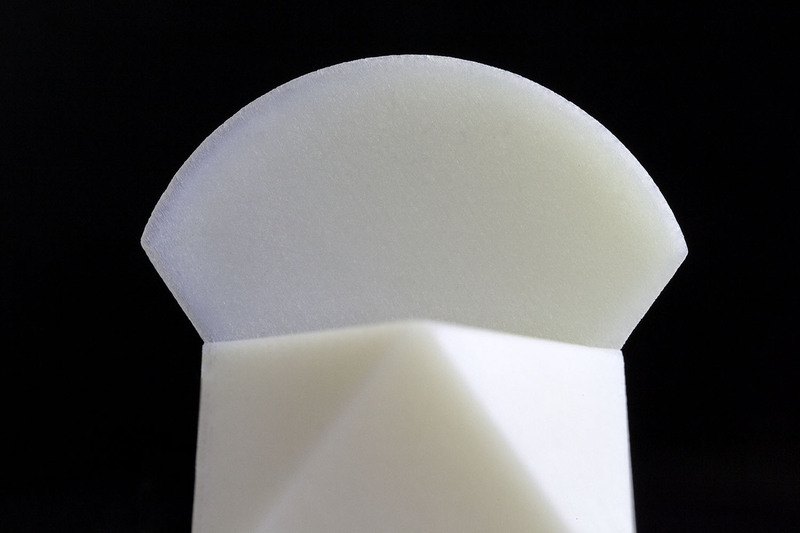 The material finish is an opaque white and is perfect for high accuracy parts. The layering or stepping is minimally visible due to the color and high resolution of this manufacturing process. 0.2 mm offset on each wall is the recommended gap for enclosures. Internal cavities are highly discouraged with ABS-LIKE due to the water-based support material that will swell and change the geometry overtime if left inside. Note that support material that has no direct line of sight inside a cavity cannot be cleaned out. For ABS-Like, we recommend you use either press or heat inserts. For more information, check out our article on The Best Fasteners for 3D Printed Parts. Text should be embossed by at least 1.0 mm to stay visible after printing. Text should also be at least 1.5 mm thick in all areas. Tolerance for ABS-Like is +/- 0.004”, or +/- 0.001” per inch, whichever is greater.